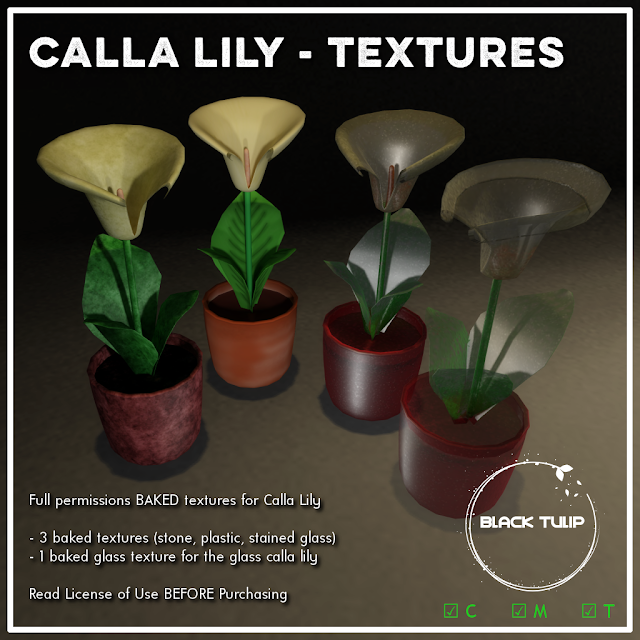 This weekend we have a full permissions potted calla lily with its corresponding textures pack, for different looks. It's set 50% off until Monday. 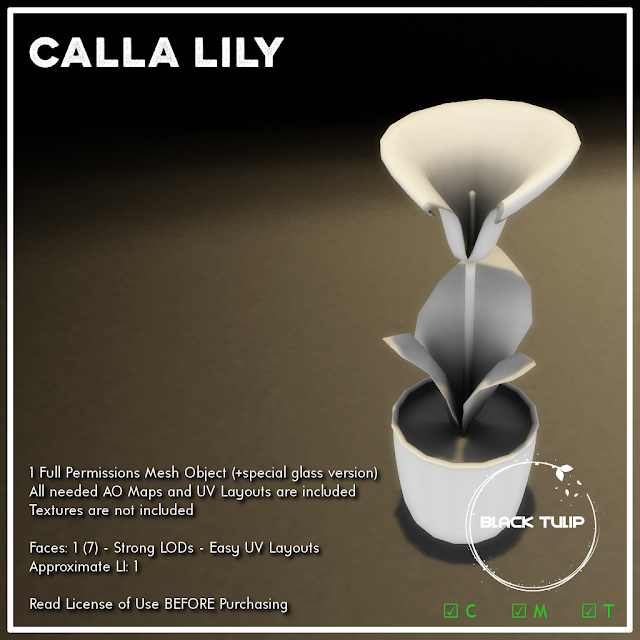 Promotional price of the kits is valid only until Monday. Click here for your taxi.